Sharon Plummer is a professional broadcast journalist, with nearly 20 years experience as a newsreader on the radio. To date, Sharon has worked for more than 40 radio stations across the UK and Europe, both in the studio and remotely from her home studio. Sharon's clear and authoritative voice allows the news to be delivered in a calm and friendly manner to your listeners. Now based in her home studio, Sharon works as a freelance broadcast journalist for radio stations almost exclusively on a remote basis. Throughout her career, Sharon has held both freelance and staff positions for various radio stations, including RSLs of varying size. She has experience as a radio presenter, co-hosting the breakfast show and drivetime shows where her friendly voice added another character to the airwaves of each radio station. Working from her home studio, Sharon can provide remote cover for your newsdesk. She can provide news bulletins, weather and travel updates dropped safely into your playout system, ready to broadcast to your radio station's listeners. 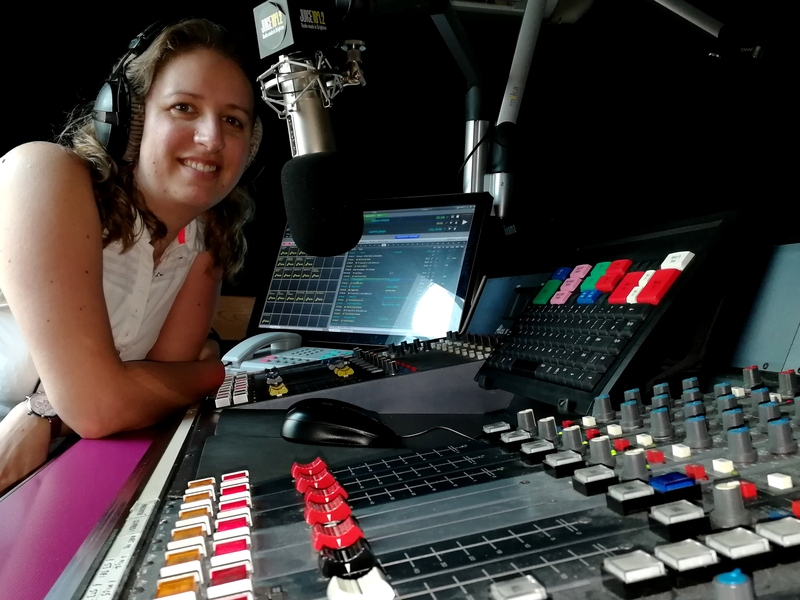 As a highly experienced broadcast journalist, Sharon is able to talk-to-time and gather news stories relevant to your radio station's listeners and can write them in an engaging way. Sharon has over 15 years experience in using Burli for newsdesks.